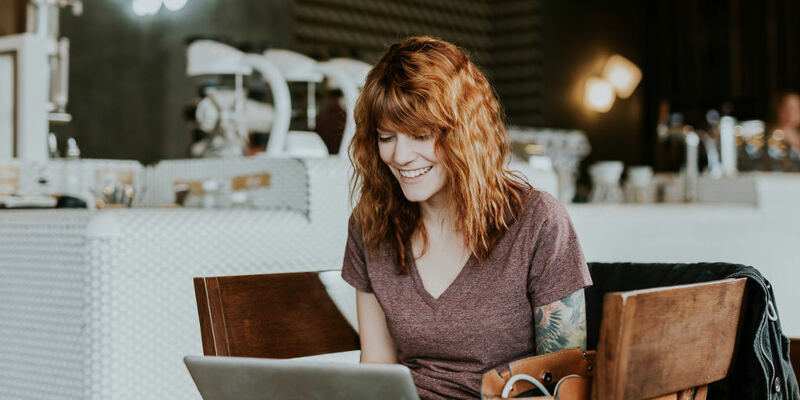 As a beginner in the world of personal finance, investing can be one of the most intimidating areas to start learning and practicing. Today’s post, written by Fred of Money With A Purpose, offers a holistic perspective on the role of investing in your financial plan as well as some solid fundamentals to help you get started. Let’s jump right in! Before you even think about saving and investing, you need to know your “why” or your purpose. Saving and investing without a purpose will lead to failure. You will be easily distracted by the next new thing; the next “shiny” object. Advertisers are fiercely competing for your dollars. They want your money. The internet is the place they go to get it. They know that’s where we spend a lot of our time. According to this MIT technology review, we spend at least 24 hours a week on the internet. That’s close to three and a half hours a day. Have you ever noticed all of the ads that come your way when you’re browsing your favorite sites? I can hardly use Facebook anymore. It’s filled with more ads than content. Instagram and Twitter are not far behind. And some of this stuff looks appealing! If you’re saving and investing without a purpose and plan, it will be much easier to fall prey to these ads. And when you are first starting out, you have a big red bullseye on your forehead. Advertisers want to get to you early and often. They’ll tempt you with multiple credit card offers with zero percent interest for the first eighteen months. Auto companies want you to get that new car you’ve always dreamed of. They’ll offer low rates and longer terms to keep your payments low. One of the biggest tricks of lending companies is to get you to focus on the monthly payment. Doing that means you ignore the cost the loans add to your purchases. If you know your “why” and stay focused on moving toward that purpose, you can more easily avoid these temptations. What is an emergency fund? It’s a liquid account (checking savings, money market) that has zero risks to the principal. In other words, you can’t lose money in it. Liquid means you can withdraw cash at any time without a penalty. Online accounts are paying much higher rates than the brick and mortar local banks. CIT Bank, Barclays Online, and Ally Bank are options to consider. Deposits are FDIC insured up to $250,000 per account. FDIC is the Federal Deposit Insurance Corporation. FDIC insurance protects your deposits in case of a bank failure. I suggest having at least six to twelve months of expenses set aside in your emergency fund for a rainy day. So, if your expenses are $1,000 a month, you would have $6,000 – $12,000 in this account. If expenses are $2,000 monthly, you’d double those amounts. The naysayers will say you’re wasting your money not investing this money. I couldn’t disagree more. Having liquid cash available allows you to pay cash for unexpected expenses rather than using a credit card or other costly options. Could you be earning more on these funds by investing? Of course. You’d also be putting the money at risk. When you need it for an emergency, you may have to sell funds at a loss or generate an unwanted tax bill when selling. Don’t compromise this step. You’re young and have plenty of time to accumulate wealth. Establish this habit early, and you’ll be way ahead of most. Once you’ve determined your purpose, your “why” and have your emergency fund, you’ll need to set up a budget. If you’ve never done this before, it can be a bit tricky. There are many good budget apps to help you get started. Here are ones I’d recommend. Mint.com is a free service that allows you to connect all of your accounts (checking, savings, credit cards, etc.). Doing that pulls over all of your transactions into the app. There are pre-selected categories already in the app. You can customize these to add ones appropriate to your situation. Once you get investment accounts set up, you can link and track those as well. It’s a free service funded by ads from vendors (credit cards, banks, investment products, etc.). Companies pay Mint a fee when you get one of these products. I avoid all of these and just use the service. You Need a Budget is another good solution. YNAB’s goal is to “give every dollar a job.” The app tracks every dollar you put into the system. YNAB will cost you $6.99 a month after your initial trial. They claim the average user saves over $600 a year when using the app. Some people don’t like this app because you must account for every dollar you spend. There’s little flexibility. If you’re an avid spreadsheet person, you can create your own budget in your favorite spreadsheet program. Whatever option you choose, put this in place early. Regular savings should be the first item in your budget. It’s the concept of paying yourself first. Set aside a percentage of your income into your emergency fund. It’s best to have an automatic withdrawal and deposit directly from your paycheck. Doing it this way assures you’ll always be saving. You may also want to consider Digit as a helpful tool. With Digit, you link your checking account to the app (or desktop version). Each day, the system pulls money from your bank account into a savings account. The amount deposited is based on your daily balance and spending habits. You can also define a set amount or a maximum daily amount. Also, you can set up funds for different purposes (emergency fund, vacation account, etc.). The default fund is the rainy day fund. Once you’ve saved for three consecutive months, a bonus of 1% gets added to your balances. The monthly fee for a Digit account is $2.99/month. That’s a pretty steep fee until your account gets built up. If you’re not a disciplined saver, it’s another helpful tool to consider. If your employer allows you to direct deposit to the financial institution of your choice, I’d suggest utilizing the online banks first. They will pay a higher rate and you won’t pay a fee (in most cases). If you have student loans or other debt, make sure to have debt repayment as part of your budget. The sooner you get rid of the debt, the better off your budget. Before deciding on how to invest your funds, choose how much to contribute. The maximum amount you can contribute in 2018 is $18,500. Most people aren’t in a position to contribute the maximum. That’s OK. Most employers offer a matching contribution. In other words, if you contribute, they will add an equal dollar amount up to a certain percentage. A typical match might be 100% up to 3%, or 50% to 6%. Whatever the number, make that your very minimum contribution. You’re leaving free money on the table if you don’t. You may not in a position to do what I just described. No matter what your age or circumstances, contribute something. If the company match is 100% up to a limit, your 1% becomes 2%. Your 2% becomes 3% and so on. Don’t leave that money on the table. Find a way to contribute. Every year you have the opportunity to make changes to your contribution amounts. Increase that amount by 1% per year every year. It’s a minimal change that can have a tremendous impact over time. And you won’t miss the money. Save as much as you can. As a minimum, contribute up to the amount the company matches. There are two types of IRAs – Traditional and Roth. Contributions limits for both are $5,500 annually. There are income limitations for both. This IRS website compares traditional and Roth IRAs. For younger investors, Roth IRAs are a great way to save for retirement. Unlike your 401(k) and a traditional IRA, contributions to Roth IRAs are not tax-deductible. You make them with after-tax dollars. Here’s a summary of how Roth IRAs work. Unlike traditional IRAs, Roth contributions can be withdrawn at any time. That’s a huge advantage over traditional. To me, the most significant advantage is never having to make required minimum distributions. Traditional IRAs require owners to begin required mandatory distributions (RMDs) when they reach age 70 1/2. The reason for RMDs? The IRS has never been paid a dime of taxes on traditional IRA contributions or earnings. So, they want their share. Required minimum distributions are how they get it. Roth IRAs offer full flexibility on when you withdraw the money. Withdrawals made after age 59 1/2 for accounts opened more than five years are tax-free. That gives you complete control over when and how you take out the money. That’s a tremendous advantage. There are many things you and I can’t control when we invest. For example, market fluctuations. Many people say they can time the market. No one has any measurable measure of success with it. Investment costs are something we can control. Keeping them low helps increase returns. The best way to keep costs low is to invest in index funds or ETFs (exchange-traded funds). Index funds are not actively managed. The manager buys every stock or bond (in most cases) in the index regardless of price. The proportion of each stock depends on its market value. For example, the S & P 500 index contains the 500 largest U.S. companies. The largest companies have the highest impact on returns because they make up a greater percentage of the index. Actively managed funds pay a manager to buy stocks they think will outperform. Statistics show that to be another losing proposition. Depending on the time frame, over eighty percent of these funds return less than the index they are trying to beat. According to the Investment Company Institute (ICI), the average expense ratio for actively managed funds was 0.78% in 2017 for stocks, and 0.55% for bonds. The average expense for index ETFs was 0.18% in 2017. Many ETFs have costs lower than 0.10%. That higher expense comes directly out of the returns of the fund. A 0.55% expense fee reduces a 5% return by 11%. Paying an advisor an additional fee (often 1% of invested dollars) reduces the returns even more dramatically. The simplest way to increase investment returns is by lowering your fees and expenses. I’ve shown you the impact on fees of funds. I’ve also demonstrated the poor results of most active funds. A CNBC article paints a very bleak picture of these funds’ results. The longer the period measured, the worse the results. Over a fifteen-year period, 66% of active fund managers underperformed the market (large-cap funds measured against the S & P 500). Why pay them a fee when you can buy the index for pennies on the dollar? Not only do active funds underperform, but investors historically underperform the returns of the funds they own? Investor behavior is illogical and emotional at times. The last ten years of the market have been all up. Some measure this as the most extended bull market in history. That point is arguable. What isn’t arguable is that many newish investors have never experienced any significant market drops. History tells us that when they do, many will panic. An article from The Balance lays out some of the reasons. Investor behavior is the number one reason. Investing in low-cost index funds gives you a much better chance of at least getting returns offered by the markets. Controlling your emotions and staying invested is the key. We’ll talk more about that in a minute. I’ve seen many younger investors’ portfolios loaded with stocks from the U.S. market. Many investors own the Vanguard Total US Stock Market fund or ETF (VTSMX or VTI) and nothing else. Here’s the problem with that. The U. S. market makes up around 52% of the world stock market. International developed markets make up another 36% while emerging markets add the remaining 12%. These numbers fluctuate with the markets. They are usually within two to four percent either side of these percentages. So, if you’re investing all your money in the U.S. stock market, you’re leaving out almost half of the rest of the world markets. International and emerging markets often outperform their U.S. counterpart. Not having money in these markets can be costly. In the current bull market trend, the U.S. markets have substantially outperformed foreign markets. That is very common over short periods. That’ll likely the reason so many investors put so much into U.S. stocks. However, over more extended time periods (twenty, thirty years or more) not having money in other parts of the world will likely reduce your total return. And if you’re young, a thirty-year period is appropriate for you. A pure market-based investment portfolio would closely match these world percentages. Most people would not be comfortable having that much in foreign investments. Having a home country bias, in this case, the U.S. is natural and makes sense. Consider keeping sixty to seventy percent in the U.S. and the balance in foreign. That’s less than the world market percentage and offers exposure to all markets. Since emerging markets are a high-risk, high return area, I’d suggest having three to six percent invested here. It’s one thing to intellectually understand how down markets work and to say you see them as a buying opportunity. Lots of people said that going into the last financial crisis. But once the crisis got into full swing, many couldn’t take the extreme drops in their portfolio. It was a scary roller coaster ride with media pounding the most negative “the world as we know it is coming to an end” news of the time. So, how do you prepare for the worst? Stress test your portfolio. Stress testing means measuring how your portfolio might perform in a significant bear market (defined as a >20% decline). Even better, see how it would have performed in the 2007-2009 financial crisis. You need to see how these kinds of drops in value make you feel. To the extent possible, see how emotionally prepared you are to get through these events. And don’t just look at percentage drops. Look at the dollars. A $100,000 portfolio that drops 50% is now worth $500,000. How would you feel if you saw that on your statements? Preparing for the worst also means finding ways to reduce the risk of your portfolio. The simplest and least expensive way to do that is by adding bonds to your stocks. Stick with short to intermediate term bonds. Index funds are the best way to invest in bonds too. The Vanguard Total Bond fund or ETF or Barclay’s Aggregate Bond fund are good options. Adding twenty percent or so to your portfolio can reduce your risk. It makes the loss in value less dramatic. That means it takes less time to gain back the amount it dropped in value. It takes a 100% return to gain back a loss of 50%. At a 7% return, it would take you just over ten years to gain back what you lost. Do you want to put yourself through that? Bonds are not meant to enhance return. They are there to reduce risk. My advice – have some in your portfolio. Finally, it’s important to stay disciplined in your plan and stay invested no matter what’s going on in the market. If you’re contributing to your 401(k) and your Roth IRA regularly, you’re investing in up and down markets. You’re averaging the cost of your investments. Regular investing smooths the ups and downs of the investing process. It’s easier to stay invested when you’re doing it at regular intervals. And let’s not forget how we started this discussion. You must know your “why” or your purpose. Keeping that in front of you at all times helps you stay disciplined. Investors underperform because they don’t stick with their plans. Those who stuck with it through the last financial crisis and invested more money during the down times recovered much more quickly and had much better returns than those who didn’t. Timing the market doesn’t work. It requires you to be right two times – once when you get out, the other when you get back in. After a crisis, you read about people who say they did that. And some got lucky. Often, money flows into these funds. The problem is these funds rarely repeat that performance going forward. There’s a reason all fund prospectuses include the disclaimer that past performance is no guarantee of any future performance. Very few managers repeat their performance over long periods of time. It’s true that there are funds that outperform. They are rarely the same funds. It’s better to stick with index funds and not worry about beating the market. If you get the returns of the market over time, you’ll be doing better than the vast majority of investors. Turn off the noise of the media. Don’t listen to friends who tell you they have a fund that outperforms everything else. Keep the blinders on and focus on your goal. Stay true to your purpose. Stick with your plan. Stay disciplined. That’s a strategy that will bring you long-term success. What steps have you taken to lay the groundwork for investing success? I really love this post and your blog, I have a lot of “growing up” to do and you give great advice! Great post on some introductory steps to begin your investing journey. Actionable insights to move you along on your path to a safe and secure retirement. Couldn’t agree more! 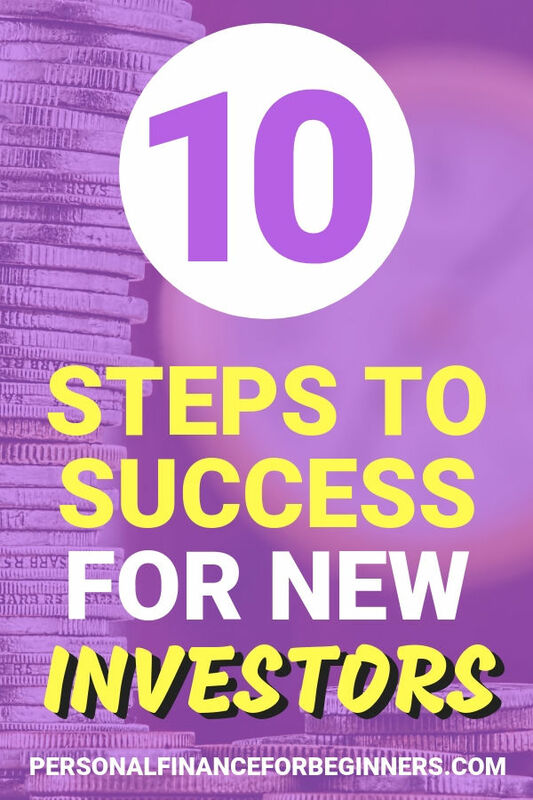 Your 10 Steps To Success For New Investors is simple and straight forward, and full of wisdom. Persistence and patience leads to profits. The earlier you start saving and investing, the less you need over time to reach the same net worth goal. Gain the knowledge you need and keep going, and going, and going… Education is key and your outline is very helpful. Thanks for posting.